Artist Manss Aval will participate in the prestigious ART PRIZE ROME 2016. 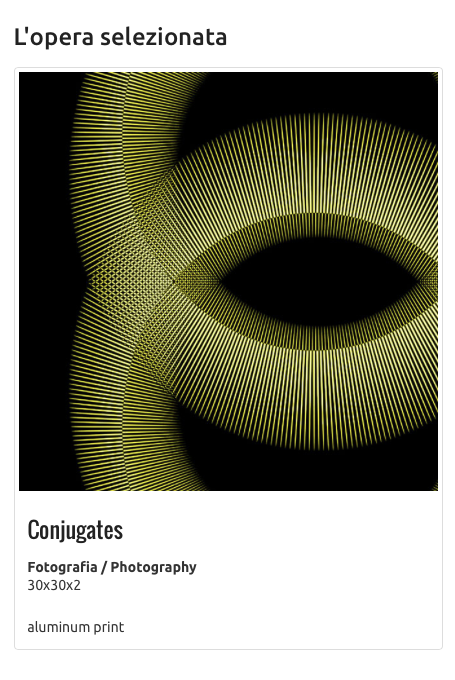 Manss Aval’s Conjugates has been selected for award consideration to be determined by the Art Prize Rome’s panel of international art jurors. In September 2016, the city of Rome again the host the ART PRIZE ROME in the historic archaeological location of Domitian’s Stadium, located in the heart of Rome in Piazza Navona. The art contest will include painting, sculpture, drawing, photography and digital art works by great artists selected for the event. The event will be held September 16 through October 30th, at the Stadium of Domitian, the archaeological site of Piazza Navona. Every month, more than 15,000 visitors and tourists come to the area making it very internationally significant for Artists and their work. Fifty selected artists, from various nations. The exhibition will remain for forty-five days. The theme for the event , “SPIRIT OF ROME – The Italian Pop Art in the Piazza del Puopolo School” becomes a symbol and character of the event. The ART PRIZE ROME 2016 is divided into two steps: the first is the online selection, among all the candidates, fifty works, one by artist, which will then be displayed in a major exhibition. The second is the choice among these, the only winning work which will be awarded the prize ARTE ROMA 2016. ROME ART AWARD 2016 and THE SPIRIT OF ROME together represent a great event that attracts the attention of collectors, art lovers, artists and tourists from all over the world. All selected candidates works will be exhibited online beginning August 1st 2016 through June 30, 2018, providing visibility to subscribers worldwide. Artist Manss moved at an early age from Tehran to Hamburg, Germany where he stayed until attending college. He then left for Canada’s West coast where he lived in Vancouver and, after additional detours in Chicago and Boston, he finally moved to San Diego, California. He studied at the University of Hamburg and the University of British Columbia and has a broad set of skills with backgrounds in media, communications and the sciences, including a Ph.D. Follow the link to see more of Manss Avals Art. To learn more about the upcoming ART PRIZE ROME, visit their website here.